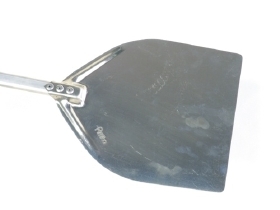 Our peels are excellent for use in wood burning pizza ovens. 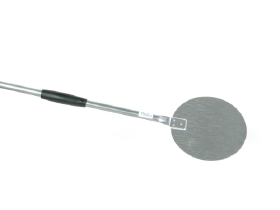 The long aluminium handle will not burn when used inside the oven with the fire burning. The peel has a thin aluminate steel head that makes easy work of sliding it under the pizza ready for placing it into the oven.